Thursday 3rdDecember saw over 300 of the very best in social care attended a glittering awards ceremony at The Hilton Hotel, Brighton, for the finals of the Great South East Care Awards, where the category winners were announced. 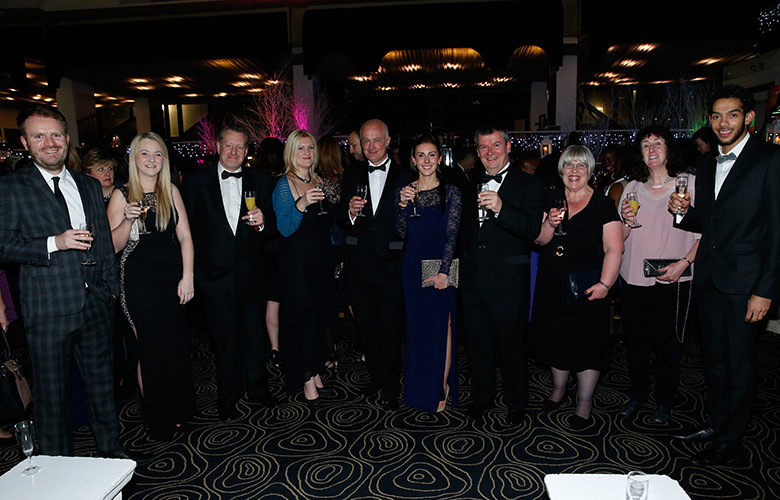 The Great South East Care Awards, sponsored by Access Health & Social Care brought together the category finalists from across the South East region. Thegala awards evening started in style with a drinks reception, followed by a superb gourmet dinner with some surprise entertainment throughout. This year’s awards theme wasGreaseand were presented by entertainer Steve Walls with an abundance of entertainment from Encore Entertainment. Winners of the Great South East Care Awards will go through to the final at Birmingham’s ICC in Spring 2016. Pamela Bruce’s focused direction as Managing Director was clear. A whole team approach to valuing staff and communicating vision and quality was evident. Listing to both staff and clients has proved key to successes for this organisation. This was a very difficult decision as all candidates were exceptional however Vanessa was inspiring. She believes it is really easy to be very proud of her work and the job she does is always proud to tell everyone about what she does. A dedicated individual who has demonstrated a great compassion for caring. Christal goes above and beyond to ensure the people she supports remain at the heart of everything she does. An exceptional Manager who leads by example. She supports her staff to provide person centred care for the residents and often goes above and beyond. Sarah combines years of experience at every level, with innovative ideas and attention to detail to deliver outstanding services using supported and valued staff. This was a difficult decision as all candidates were so worthy but Stephen’s enthusiasm for his role was infectious. He knew his role, had introduced new innovative was to do things and thinks he is really lucky to work in the care sector. Both Nikki and Michelle impressed the judges with their passion and commitment to ensure dignity, respect and resident choice is forefront of their service. From skydiving to tattoos, nothing is beyond reach. Emma demonstrated a clear understanding of dementia in all its forms. She has enjoyed working with Bradford Dementia Group and has benefited immensely ahs have her residents. Both Laura and Elizabeth inspired the judges with their passion and focus on ensuring residents are Moorlands Lodge are fully supported throughout their lives by a united, professional communicative care team. Tamara is passionate about her role she feels so much enthusiasm for her job that she can be overwhelmed, she also says this has made her a different, better person. Tamara wants to stay in social care as, in her words, “there is a lot more to learn”. Mandy has a level of passion and commitment rarely seen, supporting clients with innovative ideas personalised to their needs empowering them to express themselves. Tracey’s passion for training ensures that the staff she works with have the skills and knowledge to support the people they care for. Andy’s passion to develop employment opportunities for people with learning disabilities as a vehicle for raising their status within society was clearly a winning nomination. Developing people’s skills to give them self worth, job opportunities and inclusion within society can only be commended as true innovation. Darren is a driven, highly motivated and innovative leader in his desire to develop a team capable of delivering the highest quality of care possible. Julie has dedicated her entire working life to caring for others and putting people first. Through her innovative approach she has dramatically improved the life of her service users. For example Julie created a special ‘activity apron’ for one resident, helped another overcome a fear of water, to name but a few. Paulina has such passion, enthusiasm and high standards. Her attention to detail in supporting he clients and empowering the staff ensure great service is delivered. Jennifer is a 70 year old volunteer at Larchfield. She has been with us as a volunteer for over 6 years. Following the passing of her mother, who was a resident at the home, Jennifer comes in rain or shine to assist residents with daily activities and mealtimes. Jennifer has often taken on more responsibility than her volunteer status dictates and is an invaluable member of the team. Steven Hamblett has worked in care homes over 20 years, starting as a Care Assistant. Steven strives to improve quality of life for residents and has displayed an incredible amount of passion for his work. He is committed to supporting staff to empower residents. He is a well known figure in his community who acts as an advocate for residents and aims to raise the profile of social care, linking up with other care and health professionals. Steven is a passionate and dedicated individual and a great ambassador for the sector.